One of Japan’s so-called power spots, Dewa Sanzan is the trio of mountains known as Haguro-san, Gas-san, and Yudono-dan. Admired for their spiritual significance and natural beauty, these three sacred mountains for shintoists symbolised birth, the afterlife, and rebirth respectively, and are truly a marvelous location worthy of at least a couple days’ visit while in Yamagata Prefecture. At the top of each of the Dewa Sanzan there are of course shrines and spiritual sites to pay respects to which are the main reason for many to make the journey to these mountains. But visiting one, two, or all three of the mountains is also about the adventure of reaching the top, and what you can see and experience along the way. If you decide to make the trip to this power spot and complete the whole route you’ve got to keep in mind that access to Yudono-san and Gas-san is only limited to the summer and fall, with Gas-san accessible only from July to September, and Yudono-san accessible from July to October both due to harsh weather conditions beyond that period. Haguro-san, on the other hand, is accessible all-year round both on foot and by car. Haguro-san is the starting point to the Dewa Sanzan experience and the closest to Tsuruoka City, thus making it the most visited out of the three mountains. Visitors can choose to trek up the 2,000 plus steps to reach the Haguro Shrine at the the top, head straight to the top via a bus from Tsuruoka Station or driving. Those taking the footpath and driving to the starting point should aim for Amachikogane Shrine which is right next to the forest entrance. 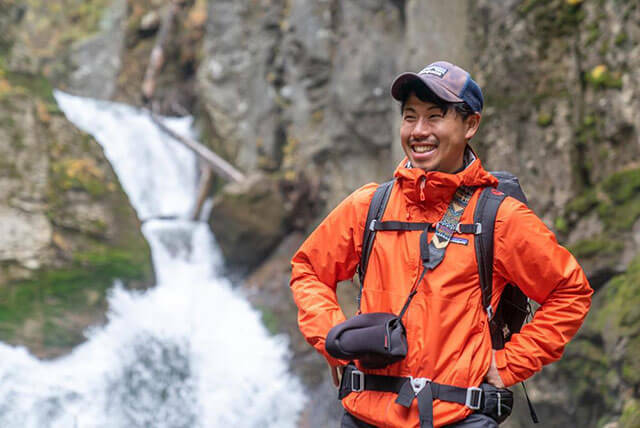 The journey on foot is far more exciting than the drive as you’ll be passing through a dense forest of cedar trees, coming across a picturesque waterfall, the beautiful five-storey pagoda, and other curious symbols. Then, of course, is the feeling of fulfilment once you finish the steep climb to the top. If you don’t wish to venture up on foot, do not be discouraged, Haguro-shrine at the top will not disappoint and actually houses all the three deities of the Dewa Sanzan which cannot be kept at the other mountain shrines. For those who want to have an extended visit to Haguro-san, the Saikan lodging right before the torii gate at the end of the foot path is a great option offering Japanese food prepared by Haguro-san’s monks and simple yet beautiful tatami-rooms for your sleeping comfort. As for Gas-san and Yudono-san, the trip to these two mountains gets a little more complex and for some more challenging. 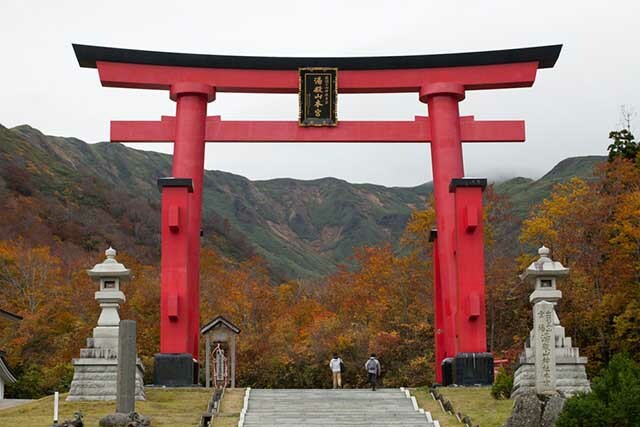 It also provides the more mysterious component to the Dewa Sanzan experience, especially the visit to the Yudono-san, the last stop of the religious route that pilgrims usually make. As with Haguro-san, there are buses connecting Tsuruoka City to the Gas-san’s eighth station and to Yudono-san’s, impressive and iconic torii gate. 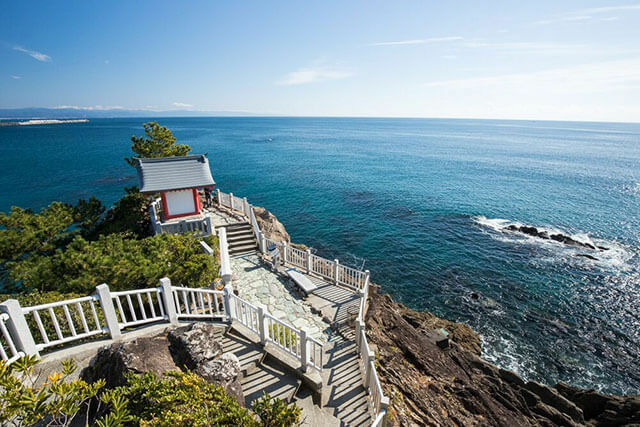 To reach the shrine at the top of Gas-san, you will need to commit to a two-hour hike which is easy enough for most visitors, and provides scenic views of the rolling plains at the top of the mountain. 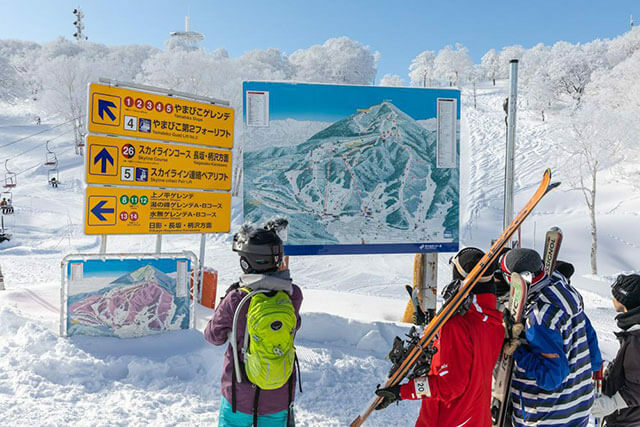 After Gas-san, it is possible and also recommended, to continue for about another 40 minutes along a separate trail to reach the final stop of the route and the secretive Yudono-san shrine. In our opinion, the visit to Yudono-san, in large part due to its prohibition on photography and on sharing what goes on at the main shrine, is the most memorable part of the Dewa Sanzan journey. 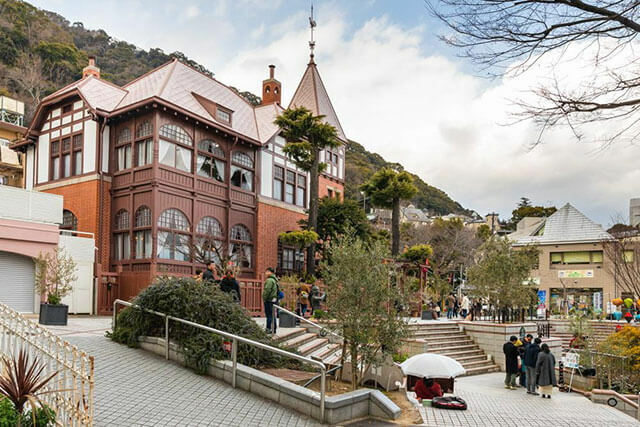 To reach this point, you can take the bus from the Yudono-san visitor centre up to the entrance of the “secretive” section of the shrine grounds, or make the approximately 20-minute walk to the top. Either way, you are in for a spiritual treat that will leave you with the urge to share the experience with the world. We won’t spoil it for you either so you’ll need to make the unforgettable journey for yourself. We’ll leave you with a teaser from the road to the top.